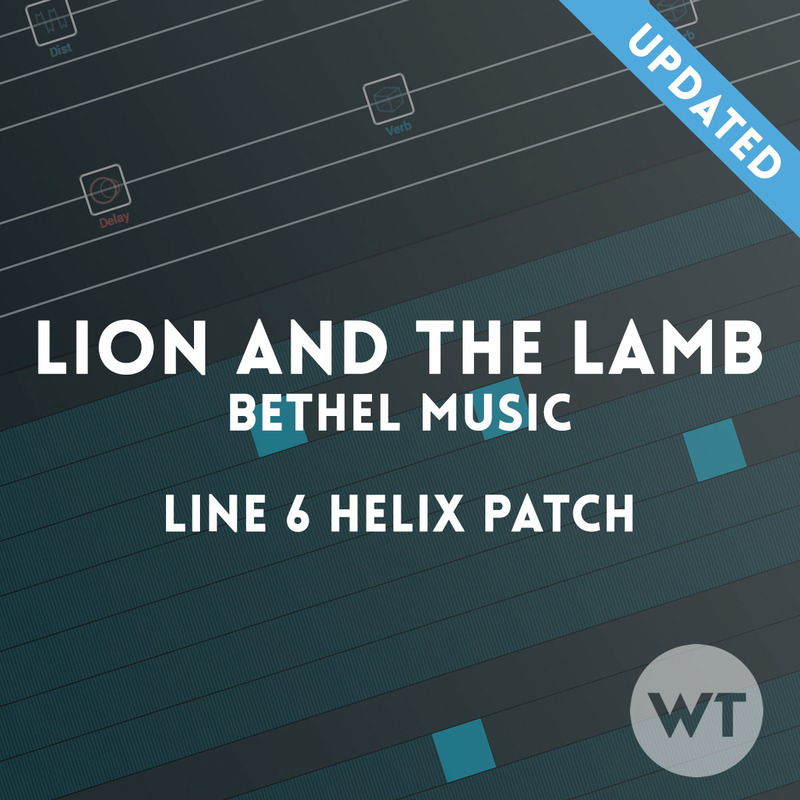 This Helix patch uses Snapshots and re-creates the guitar tones from the song Lion and the Lamb by Leeland/Bethel. Includes two Helix patches – one with IR Cabs (IR’s not included) and one with Stock Helix cabs. SNAPSHOT 1: INTRO/RIFF. Big ambient lead tone. Feel free to stack drive pedals for bigger sounds. For a lead tone, we like the 808 into the OCD. The dotted 8th delay is in parallel with the quarter delay, so they’ll be more rhythmic when used together. Hit the ‘Swells’ button to turn on the Cosmos echo with big ambient reverb.